Volunteers Needed and Welcome! GNA is co-sponsoring the annual Clean & Green at the PS40 playground. 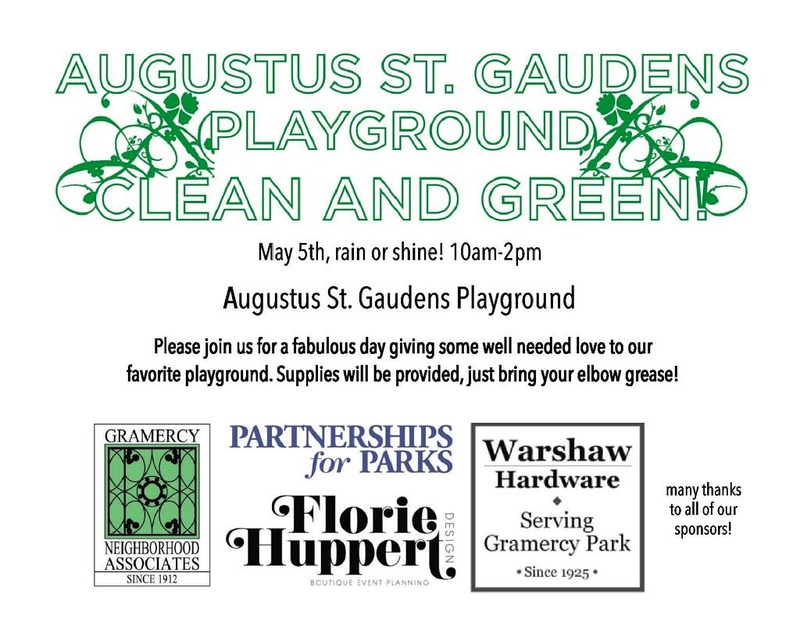 Please join us for a fabulous day of giving some well needed love to one of our favorite Gramercy playgrounds. Supplies will be provided.